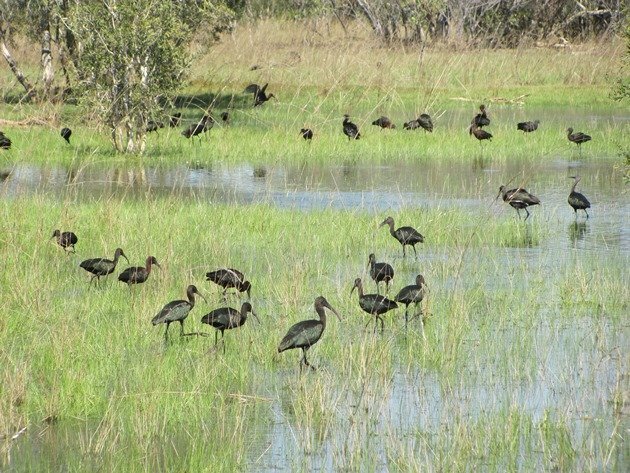 Over the past few months there has been a steady increase in the number of Glossy Ibis around the Broome area and it has not been hard to find a location where you can observe the Straw-necked Ibis, Australian White Ibis and the Glossy Ibis together. 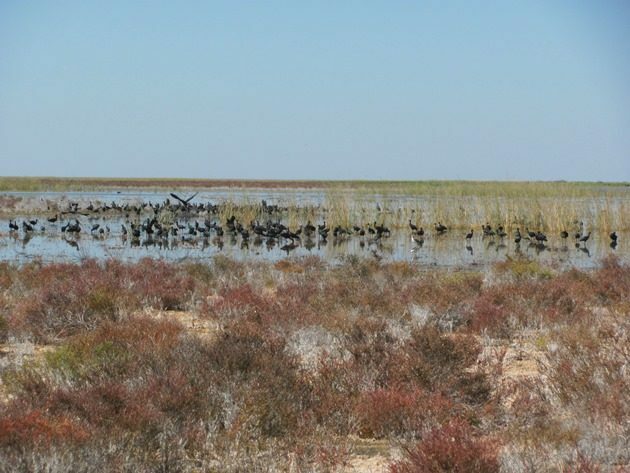 The Broome area has been an excellent area for birds to come to this year after significant rains during our wet season and we have seen increased numbers of some species we rarely see in dry years. Not only have we seen increased numbers of many species, but they have also come and bred here. Not only have the Magpie Geese visited the area and bred, but also Australian Painted Snipe, Australasian Grebes and Black-winged Stilt have taken advantage of the favourable conditions. 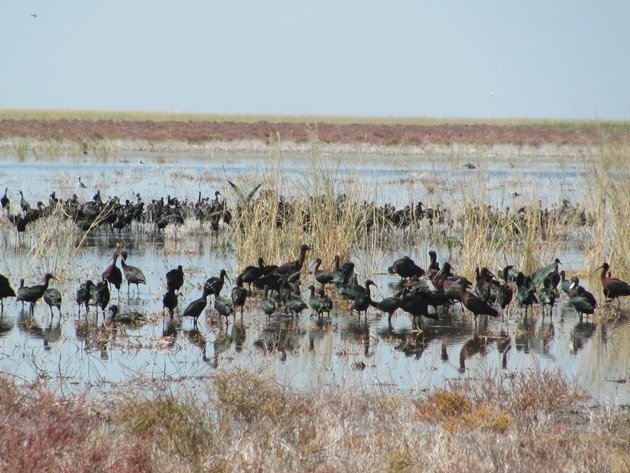 This year has been the first year that we have encountered such large flocks of Glossy Ibis and in particular young birds that do not have fully developed bills. 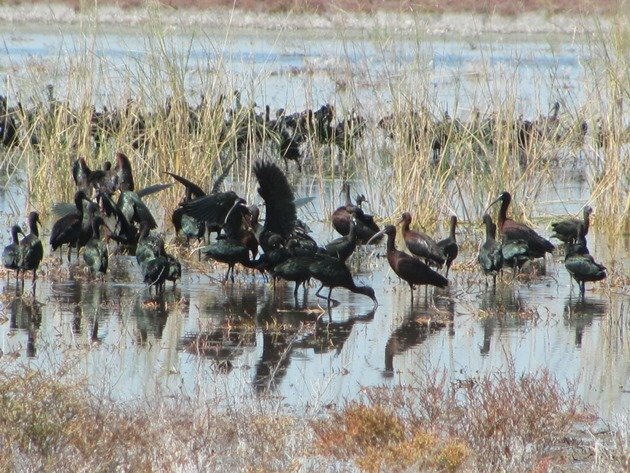 There have been flocks of over five hundred young Glossy Ibis with very few adult birds in permanent attendance indicating a crèche situation. 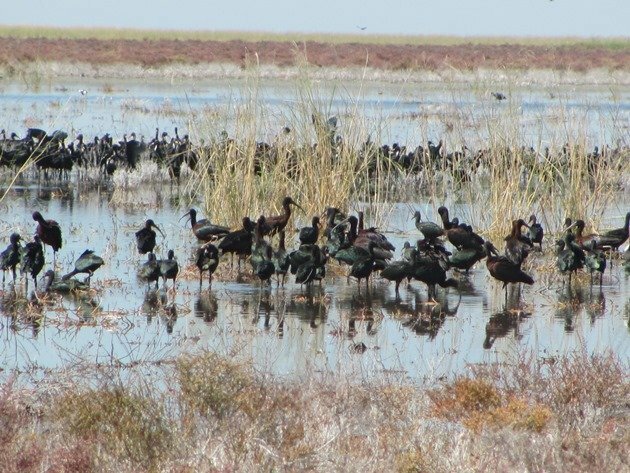 Some of these flocks have been close to the coast among the saltbush at the ephemeral lakes and although the Glossy Ibis are unable to fly they are able to move fast through the water to escape from danger. 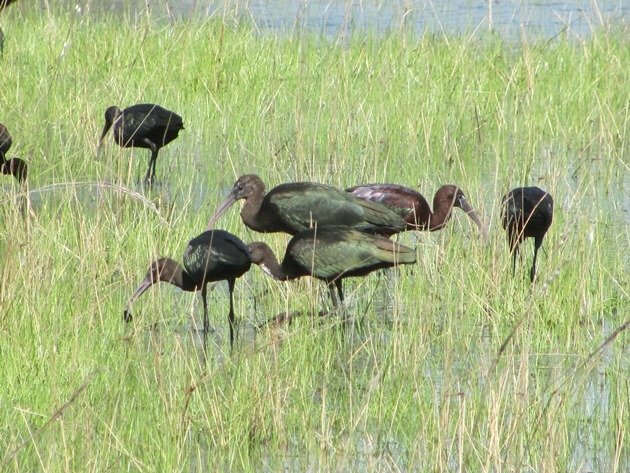 The Glossy Ibis in the above photos are part of the crèche and you can see that some on the far left do have very short bills that are yet to develop. Some of the birds also had very pale necks and white patches were still visible. At the ephemeral lakes inland from the coast the Glossy Ibis are more developed and they have full sized bills, but do still have some juvenile feathers remaining in the photos below. 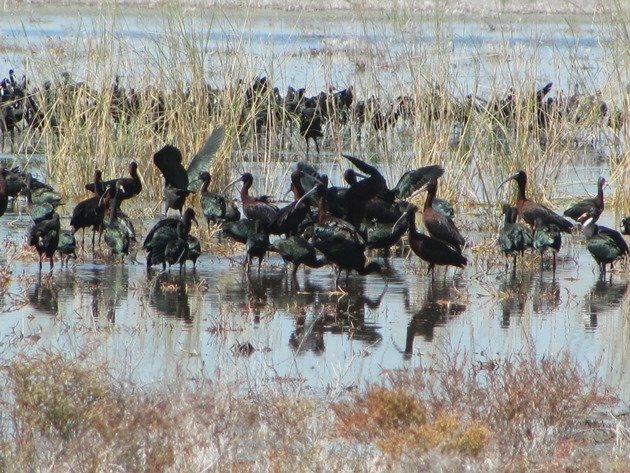 The good numbers of Glossy Ibis will disperse over coming months, but it has been a joy to see so many in the Broome area this year! 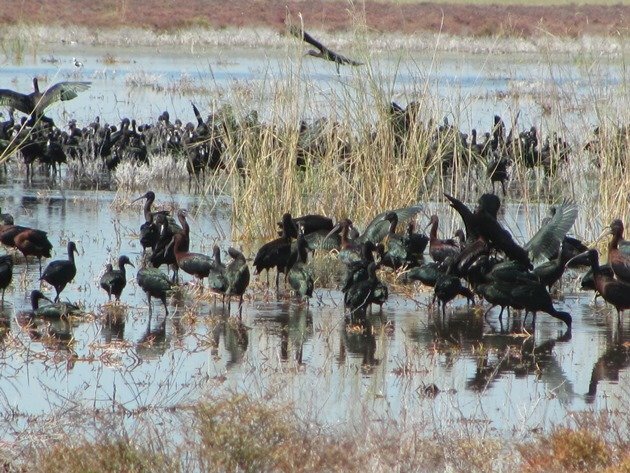 Wow, that is a LOT of Glossy Ibis! Yes, we are lucky to live where we do! I’ve always been thrilled to see one ibis. To see so many at once, and such beautiful ones, just seems incredible! Having all three species of Ibis around Broome is great too!